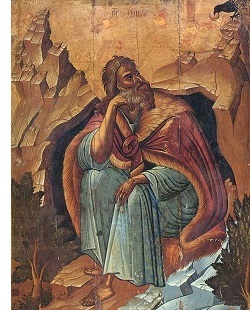 The Prophet Elijah - As the two kingdoms strayed further and further away from the Lord, God began to raise up prophets, not just to rebuke the kings (which He had done before), but to administer punishment for their wickedness. The first of these was Elijah, a prophet of Israel in the time of King Ahab (for Ahab was a wicked king). As a result, Ahab (and his queen, Jezebel) hated Elijah and wanted him dead. But the Lord protected him and warned him to flee to safety. Elijah was the mentor of another famous prophet, Elisha. The two are closely associated with one another, and Elisha took over for Elijah after his job was done. Elijah is also one of only two people in the Old Testament not to have died (the other being Enoch way back in the Book of Genesis).